Last week, the ETF industry lost our reluctant patriarch Jack Bogle, the founder of Vanguard. We say reluctant because Jack often expressed disdain for the tradability of ETFs and preferred index based mutual funds. Despite his concerns, the creation of low-cost, index-based investment was Jack’s innovation and eventually led to and inspired the growth of the ETF industry. Professor Burton Malkiel is a member of the TETF.indexcommittee and he shares his thoughts on Jacks life and contributions as a friend and colleague in the Wall Street Journal. Another great Jack Bogle/ETF origin story is shared in the following Bloomberg Podcast. This entire series is amazing and to listen to Jack’s visions and warnings directly are important. The collaboration of exchanges, traders, regulators, index providers, and sponsors required to create the ETF innovation is truly inspiring. Last week’s sad news inspired our team to research another investment guru and how his firm is seeking to use the ETF structure to make energy investable. Legendary oil man, investor, and philanthropist, T. Boone Pickens has spent his career challenging the norm and advocating for the expansion of U.S. energy resources, most recently through the Pickens Plan, a nationally-recognized grassroots campaign aimed at reducing America’s crippling dependence on OPEC oil. Last year, BP Capital launched The Pickens Oil Response ETF (BOON) which embraces much of Boone’s energy investing philosophy into a single ETF. BOON seeks to track the performance of the NYSE Pickens Oil Response Index (NYPORPR), the design of which is informed by the decades of experience and energy thought leadership of Boone and his team. BOON aims to redefine energy investing by offering a strategic and more balanced approach that better reflects the realities of the new global energy markets in a post-shale era. In our opinion, this approach essentially produces a strategic exposure to energy that can be bought and held as opposed to the more commonly held energy ETFs that are volatile and are primarily used as trading vehicles. The 10-year chart below illustrates the negative impact of volatility on energy investing. The NYSE Pickens Oil Response Index (NYPORPR) has maintained long-term correlation while providing less volatile exposure. Jack Bogle’s index fund innovation helped give birth to the ETF industry and powered its growth by highlighting the low cost and transparency client alignment growth factors of ETFs. The folks at BP Capital have taken the philosophies of another great investor and philanthropist and democratized access to his ideas through the BOON ETF. 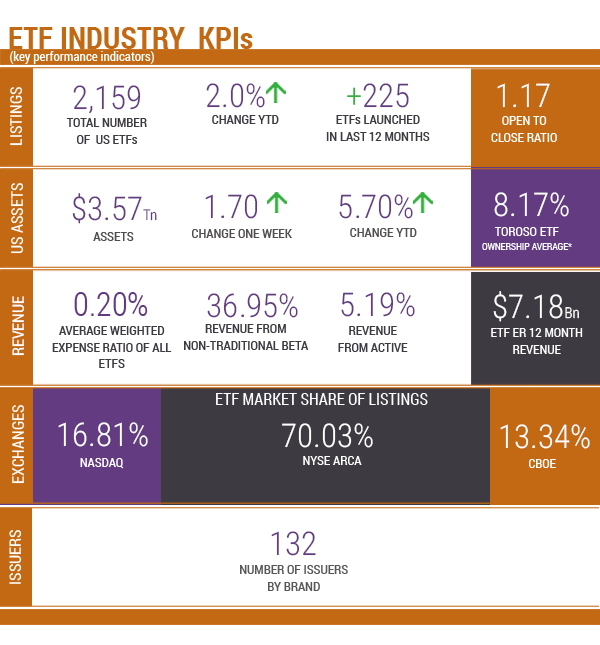 We believe that ETF growth is powered through client alignment and innovation. Jack Bogle’s index fund innovation helped give birth to the ETF industry and powered its growth by highlighting their low cost and transparency, client alignment growth factors of ETFs. Jack Bogle’s original innovation was based on the client alignment factors that have now been embraced to provide exposure to Boone Pickens´ innovations. 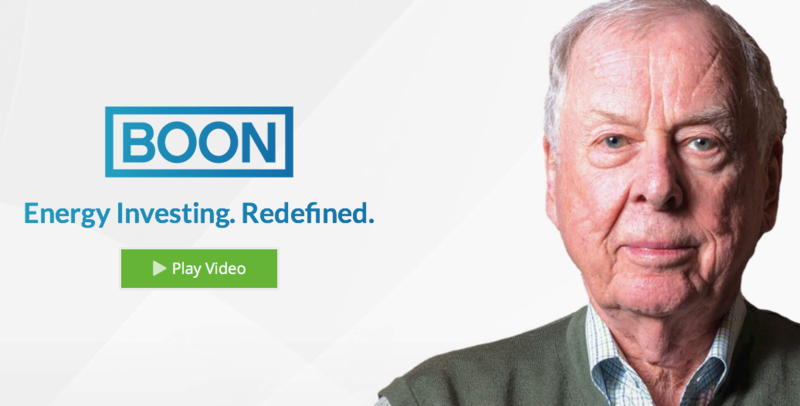 The folks at BP Capital have taken the philosophies of another great investor and philanthropist and democratized access to his ideas through the BOON ETF. We believe this cycle of innovation and growth will not only continue but accelerate. Returns as of January 22, 2018. As of January 22, 2018. As of January 22, 2018. Source: Morningstar Direct.